KenyaSights.com was founded by Isaac Miriri. It provides you with information about Kenya Attractions and the fun things that make this country a first choice for African safaris and holidays. Hi, my name is Isaac Miriri. I’m the founder of KenyaSights.Com. Why Kenya Sights? There are a number of reasons why I came up with KenyaSights.Com. This occurred in my work as a freelance photographer -- and arts and culture writer interacting with non-Kenyans. It has always been fascinating explaining what Kenya is, and the things that make her so amazing. It’s also been awesome hearing what visitors think of our country and our ways in general. The idea of building KenyaSights.Com was born out of this, and has since become a passion and a challenge I couldn’t resist. I'm enjoying the creative journey of sharing my country’s heritage and the things that make her so unique as a world class holiday destination in Africa. Miriri offers writing services in the form of copy writing, blog posts and article writing, and social media management services. You can purchase pictures of various Kenyan subjects from KenyaSights.com or commission Miriri to take them for you. Building KenyaSights.Com has been an enjoyable journey due to the enormous help of Solo Build It! (SBI). They have made the process of starting and maintaining a small online business possible and simple. 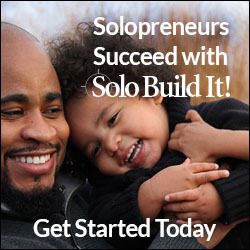 Solo Build It! (SBI) has tools that make it possible for anyone to start and build a successful small business online from scratch to the end. And you don’t necessarily need to know any sophisticated computer stuff to start and successfully build one. We would like to hear your feedback, contribution or questions about KenyaSights.Com, Please get in touch with us. Or... Do you know a great Kenya Story? Do you have a fascinating story -- experience -- photos or videos about Kenya? Share it here!